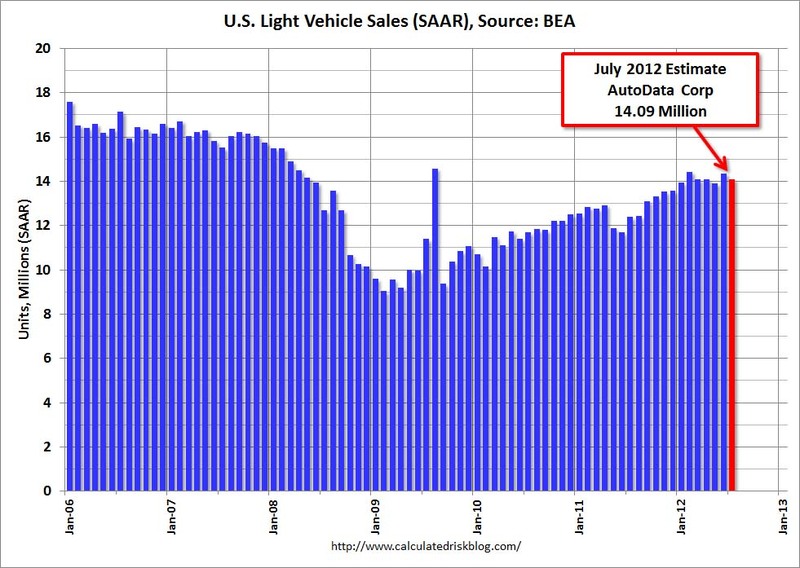 Based on an estimate from Autodata Corp, light vehicle sales were at a 14.09 million SAAR in July. 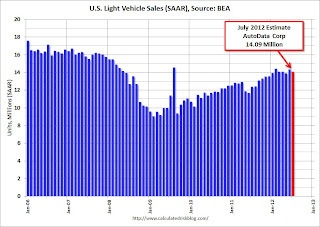 That is up 14% from July 2011, and down 1.7% from the sales rate last month (14.33 million SAAR in June 2012). This was slightly above the consensus forecast of 14.0 million SAAR (seasonally adjusted annual rate). 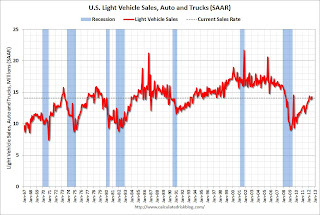 This graph shows the historical light vehicle sales from the BEA (blue) and an estimate for July (red, light vehicle sales of 14.09 million SAAR from Autodata Corp). The year-over-year increase was fairly large because the auto industry was still recovering from the impact of the tsunami and related supply chain issues in 2011. Sales have averaged a 14.12 million annual sales rate through the first seven months of 2012, up sharply from the same period of 2011. This shows the huge collapse in sales in the 2007 recession. 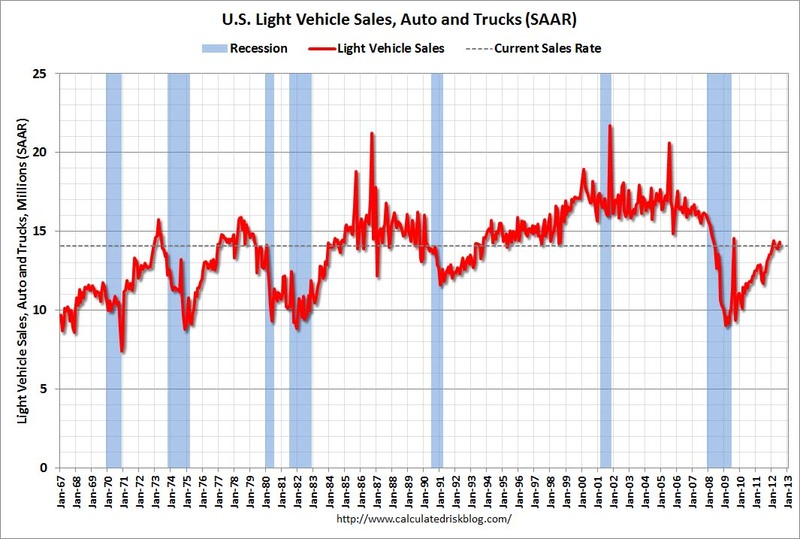 In 2012, sales are mostly moving sideways suggesting auto sales will probably not add significantly to GDP.